I have uploaded images of all four pages of the Extra edition in the Flickr set, as well as detail shots of some of the more interesting bits. 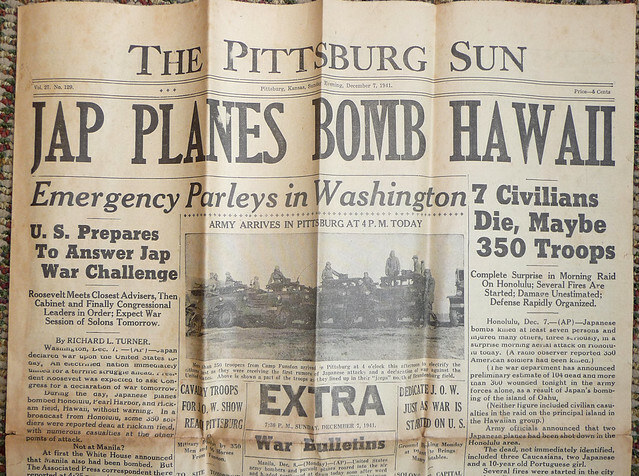 My favorite bits, aside from the Japanese Consul General in Hawaii’s attempt to deny the raid(!) are the maps on page 4, which were obviously prepped and ready to go, possibly previously run material that they reprinted. 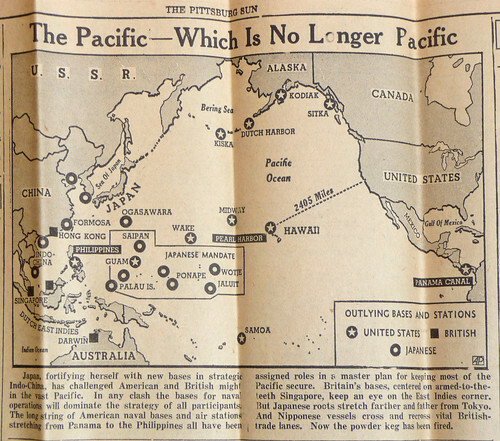 Map shows US, Pacific Ocean, East Asia and Australia, illustrating proximity of US outposts to Japanese mandate territories. 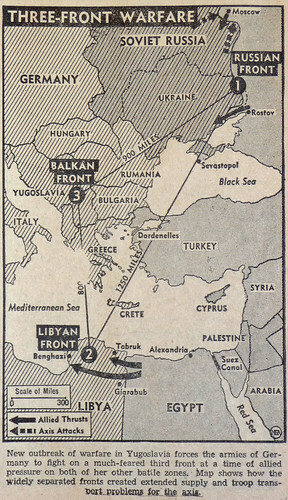 Map shows Germany, Russia, Balkans, Eastern Mediterranean including Libya and Egypt. The whole paper is worth browsing through, and I haven’t had time, at this point in the semester, to do it justice. The main thing that I noticed is a great deal of war news: the coming of war is clearly surprising, but doesn’t seem shocking. 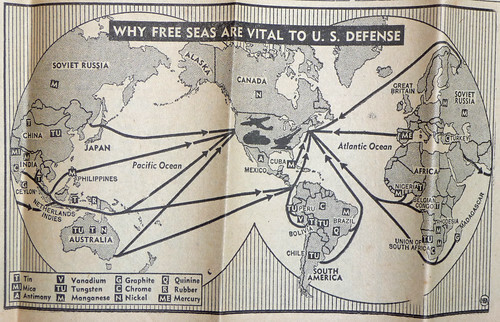 The Washington Daybook, for example, which is about industrial and refugee diamonds, and the “Free Seas” maps above, not to mention the Jayhawk Ordinance Works dedication and the War Bonds cartoon, point to a substantial wartime footing already in place.